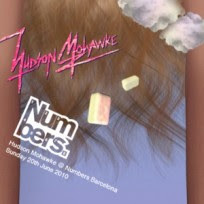 A 30-minute impromptu set by Hudson Mohawke at Sonar Festival@ Barcelona which took place a few weeks ago in this most beautiful city in Europe. Synths, synths and more synths plus cut-up hip-hop beat, some scratches and nice vocals, well y'all know what to expect right? Wrong! Listen!